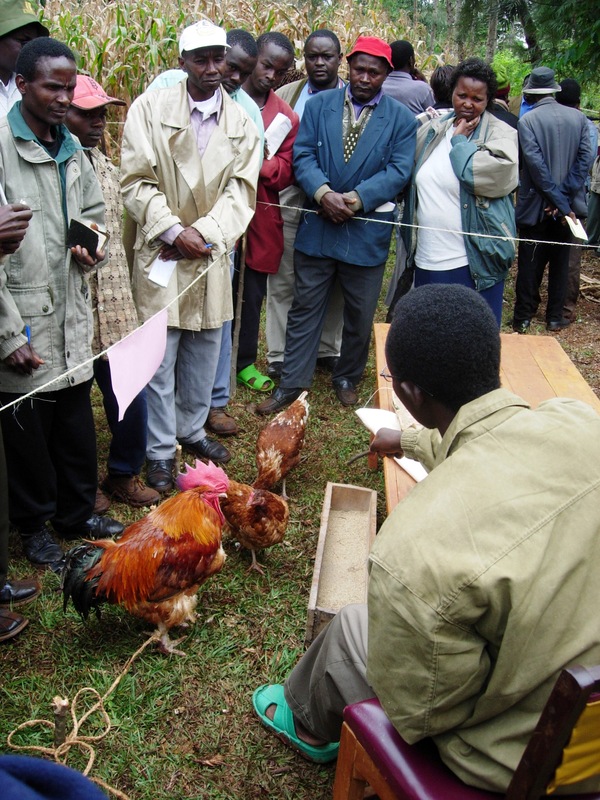 Facilitation – the aim of this model is to help farmers to define their own problems and develop their own solutions. Farmers learn about quality protein maize (QPM) as animal feed at a farmer field day in Kathaka Kaome, Kenya. Credit, CIMMYT. Traditional extension systems focus on increasing agricultural productivity, use a top-down approach and often emphasise the transfer of technology. This model for extension, however, is becoming out-dated in the more competitive, market-oriented climate of today’s agriculture. Alternative models have emerged that recognise other actors than traditional public extension services – including agribusiness companies, NGOs, agro-dealers, producer organisations and farmer to farmer exchanges. 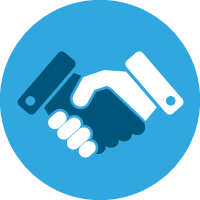 Many countries, especially in Latin America, have privatised and contracted out advisory services. Uganda’s National Agricultural Advisory Services (NAADS) have also contracted out extension services to the private sector and NGOs. FARM-Africa‘s farmer-to-farmer extension model involves extension professionals training farmers in demand-driven technologies and encouraging them to serve their communities voluntarily as community extension workers. After years of neglect and disinvestment, there has been renewed emphasis and new approaches to demand-led extension. Within the donor community, a revitalised and expanded role for advisory and information services is seen as central to pro-poor agricultural growth. Apart from their conventional role of providing and transferring knowledge in order to increase productivity, new functions include linking smallholder farmers to high value and export markets, promoting environmental outcomes and coping with public health challenges such as HIV/AIDS. Increasing productivity on current land requires significant investment in agricultural research and extension. Extension can provide farmers with the tools and knowledge they need to adopt new sustainable methods of farming in order to increase their yields, improve their food security and livelihoods and build resilience against climate shocks. Importantly, farmers can be encouraged to achieve more with existing resources and prevent the expansion of arable land and to restore those lands that have been degraded. The training of extension workers is also a potential driver of employment and economic growth. In Africa. Many rural poor households face numerous risks, which require a more interactive extension system. 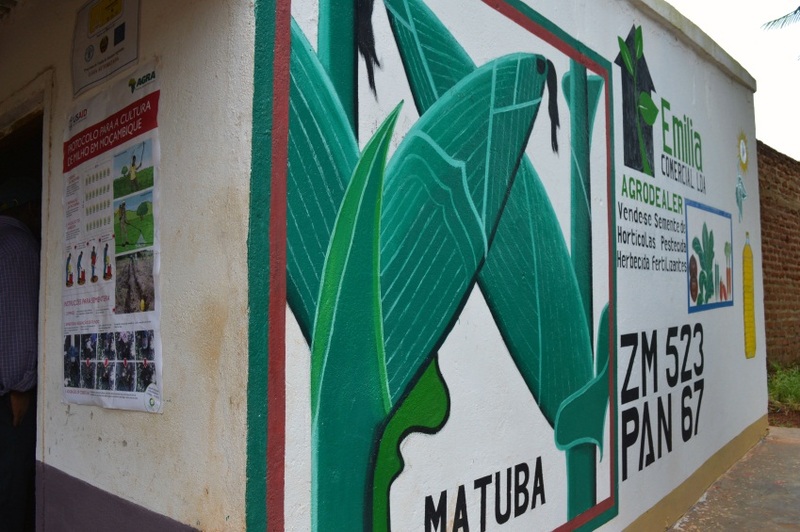 In some cases, programmes training farmers themselves to become informal extension agents have proved successful in building human capital, such as Flora Kahumbe, an agro-dealer in Malawi, who was trained by RUMARK to be a private extension agent. In Africa there is an estimated 1 extension worker per 4,000 farmers, compared with 1 per 200 hundred farmers in developed countries. This ratio falls far below the Food and Agriculture Organization (FAO) recommendation of 1 officer for every 400 farmers. The proportion of agriculture budgets allocated to extension services varies from country to country, for example, from 5% in Zambia to 50% in Zimbabwe. Evidence from Nigeria shows that the higher the extension agent to farmer ratio, the more successful the extension delivery. According to the FAO, investment in agriculture extension services needs to increase to 3.5% of the agriculture GDP in order to achieve the necessary coverage. However, no African government is currently spending even a tenth of that amount. Information on the direct costs and cost-effectiveness of agricultural extension services across Africa is sparse, in part because this is not often evaluated. In the case of Malawi in the early 1980’s, direct agent-to-farmer extension services cost US$21 per contact and US$4 to US$5 per participant for a one-day ‎‎training course. By comparison, a mobile film show cost US$0.17 per farmer per hour and a radio programme cost US$0.004 per listener per hour showing that even early information communication technologies helped to reduce the costs of delivery. A more recent analysis of farmer field schools (FFS) – a participatory approach to farmer education and empowerment featuring discovery learning, experimentation, and group action – found the cost per participant to range between US$20 and US$40. 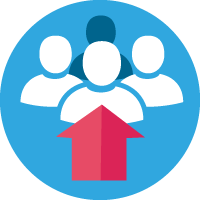 These estimates however, do not take into account the costs to beneficiaries which can make the approach relatively costly compared to other types of programme approaches. Although government expenditure on extension services has typically been low, evidence from several countries show that agricultural extension is a pro-poor public investment with high returns to poverty reduction. In Ethiopia, poverty was reduced by 9.8% from just 1 agricultural extension visit and in Uganda, increases in extension visits reduced stunting and wasting in children. The high costs many farmers face in accessing extension services, such as travelling to a regional town or city, can act as a strong disincentive to seek out advice and support. To resolve this challenge, mobile phone networks can help to disseminate knowledge given the dramatic increase in access to such networks, even in rural areas, and affordability even for the poor. Today 75% of Africans own a mobile phone, making it increasingly easier to reach those located in remote rural areas with timely weather forecasts. The Ghana Ministry of Agriculture Extension Service Portal, or the crowdsourcing model of WeFarm communicate a variety of information with farmers exclusively by SMS. Women’s participation in extension is limited by traditional, social and institutional factors. 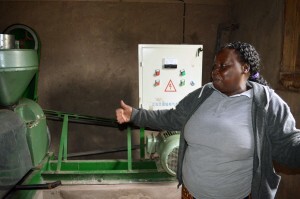 Whilst it is still common for agricultural extension workers to be male and to interact only with men, in recent years there has been growing recognition of women’s role in managing farm households and the importance of female to female communication in the adoption of new farming methods and technologies. Extension services need to be sensitive to women’s household responsibilities, availability and suitability of the information to the beneficiary to reduce the exclusion of women from education and training opportunities. For Sustainable Intensification to succeed, smallholders need to build up their understanding of farming systems and capacity to innovate within their own particular ecosystems. The use of videos in West African countries such as Nigeria, Benin, Ghana, Gambia and Guinea has been successful in raising awareness about potentially beneficial technologies and practices among farmers. However, agricultural knowledge is very contextual and requires a deep understanding of the entire farming system. Therefore, it can be difficult to communicate or assimilate advice for widespread use. Most producers live in a world of imperfect information, and are subject to considerable uncertainty with regard to weather conditions, pest attacks, and market options. Some of these uncertainties could be mitigated by better access to information and communication technologies (ICT). Better, reliable and timely information will help farmers become more responsive to price signals and help to expand the reach and impact of extension and advisory services. For example, Safaricom Ltd and the Kenya Agricultural Commodity Exchange collect and disseminate current commodity price information to Kenyan farmers through a low cost SMS provider. Anderson, JR & Gershon, F 2007, ‘Chapter 44: Agricultural Extension’ Handbook of Agricultural Economics, vol. 3 pp. 2343-2378. Davies, B, Baulcombe, D, Crute, I, Dunwell, J, Gale, M, Jones, J, Petty J & Toulmin, C 2009, Reaping the benefits: science and the sustainable intensification of global agriculture, The Royal Society, London. High Level Panel of Experts on Food Security and Nutrition (HLPE) 2013, Investing in smallholder agriculture for food security: A report by the High Level Panel of Experts on Food Security and Nutrition, Committee on World Food Security, Rome. Beynon, J, Akroys, S, Duncan, A & Jones, S 1998, Financing the future: options for research and extension in Sub-Saharan Africa, Oxford Policy Management, Oxford. World Bank 2007, World Development Report 2008: Agriculture for Development, Washington, DC. World Agroforestry Centre (no date), Farmer-to-farmer extension, Available from: <http://worldagroforestry.org/research/ras/farmer-farmer-extension> [10 July 2015]. Waruru, M 2011, ‘ICTs could fill agricultural extension gap, says meeting’ 21 December 2011, SciDevNet News Available from: <http://www.scidev.net/en/agriculture-and-environment/farming-practices/news/icts-could-fill-agricultural-extension-gap-says-meeting.html> [10 November]. ActionAid 2013, Walking the Talk: Why and how African governments should transform their agricultural spending, ActionAid, Johannesburg. The World Bank 2005, Agriculture Investment Sourcebook, The World Bank, Washington, DC. Waddington, H & White, H 2014, Farmer field schools: from agricultural extension to adult education, Systematic Review Summary 1, International Initiative for Impact Evaluation (3ie), London. Dercon, S, Gilligan, DO & Hoddinott, J 2008, ‘The Impact of Agricultural Extension and Roads on Poverty and Consumption Growth in Fifteen Ethiopian Villages’ American Journal of Agricultural Economies, vol. 91, no. 2, pp. 1007-1021. African Smallholder Farmers Group (ASFG) (no date), Supporting Smallholder Farmers in Africa: A Framework for an Enabling Environment, Available from: <http://www.asfg.org.uk/framework-report/overview> [10 July 2015]. United Nations Development Programme (UNDP) 2014, Farmerline joins the Business Call to Action with commitment to provide mobile communication services to rural farmers, Available from: <http://www.undp.org/content/undp/en/home/presscenter/pressreleases/2014/10/15/farmerline-joins-the-business-call-to-action-with-commitment-to-provide-mobile-communication-services-to-rural-farmers.html> [10 July 2015]. Agriculture for Impact 2013, Sustainable Intensification: A New Paradigm for African Agriculture, A Montpellier Panel Report, London. Bentley, J, Van Mele, P, Okry, F & Zossou, E 2014, ‘Videos that speak for themselves: when non-extensionists show agricultural videos to large audiences’ Development in Practice, vol. 24 no. 7, pp. 921-929. Ethiopian women harvesting Teff. A. Habtamu, Credit, ILRI. 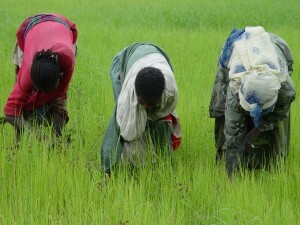 Tef is the main Ethiopian cereal grown on 2.5 million hectares annually, and serves as a staple food for more than 50 million people. The major constraint in tef husbandry is its susceptibility to lodging (where the plant is unable to support its own weight and may fall over or snap) that results in low productivity, about an average of 1 tonne per hectare. Scientific research on improved varieties and management practices of tef have, until recently, been little adopted by farmers. The improved higher yielding varieties tend to produce dark seeds, that are unappealing to consumers. In addition to poor extension work, farmers have been reluctant to adopt the improved varieties. Debre Seit Agricultural Research Centre (DZARC) developed a hybridisation by crossing 2 improved pure-line varieties (DZ-01-974 and DZ-01-196). The resulting hybrid, Quncho combines popular a white seed colour from DZ-01-196 with the higher yields from DZ-01-974. From 2006 to 2009 the number of farming households using Quncho increased from 300 to 7,741 due to the development of a variety better suited to farmer’s preferences and improved agricultural extension. DZARC and their partners also developed and used a novel agricultural extension approach to improve adoption rates. First, a complete package of recommended cultural management practices along with the new variety was provided, rather than just the seeds alone. An important part of the package was ‎‎training provided to farmers by DZARC, with regular follow-up sessions and supervision. Second, the new variety was demonstrated on-farm in large plots of ¼ hectare using a fast 1 year extension approach, rather than using small demo plots over 3 to 4 years, so that farmers were able to see the impact of the new variety and methods on yields more immediately. Farmers were given the initial seed by DZARC on a ‘revolving seed loan,’ a scheme that permits them to repay in equivalent amounts of seed after harvesting. This way, the farmers receive not only seed, but also a guarantee against the uncertainties regarding the performance of the new crop and associated technology. Assefa, K, Aliye, S, Belya, G, Metaferia, G, Tefera, H & Sorrells, ME 2011, ‘Quncho: the first popular tef variety in Ethiopia’ International Journal of Agricultural Sustainability, vol. 9, no. 1, pp. 25-34. Cassava roots. Credit, H.Tufan, International Programs. 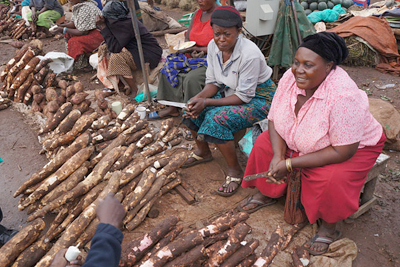 Cassava production was revitalised in Uganda through the introduction of 6 disease resistant varieties, produced using techniques such as conventional breeding and hybridisation with local varieties to be resistant to cassava mosaic disease (CMD) and brown streak virus, with support from the Maendeleo Agricultural Technology Fund (MATF), local government and donors. MATF trained farmers to become trainers themselves whilst providing the new trainers with technical backup throughout the process. From each group of farmers, 1 contact farmer (CF) and 1 extension link farmer (ELF) were trained. These 2 farmers would then grow demonstration plots of cassava that were also used for multiplication and distribution of cassava to the other farmers. The project led to increased knowledge amongst farmers on improved production methods, including soil and water conservation. Farmers reported that they had come to know each other better and their relationships became more reciprocal, suggesting the project helped to build ‎build social capital. Furthermore, CFs and ELFs provided a platform for other NGOs to disseminate information on a range of subjects such as HIV/AIDS, gender equality, and conservation. Women in particular reaped financial benefits through the sale of cassava, and 43% of new adopters during a 1-year extension phase were women. The resulting increase in income was invested in other household needs, such as school fees for their children and poultry projects. Roothaert, RL & Magado, R 2011, ‘Revival of cassava production in Nakasongola District, Uganda’ International Journal of Agricultural Sustainability vol. 9, no. 1, pp.76-81. Emilia with her sunflower oil machine. Credit, Agriculture for Imapct. In 2008 the Alliance for a Green Revolution in Africa (AGRA) started to support Emilia’s small shop through the Mozambique Agrodealer Development project. The project offers business management training and helped Emilia acquire a good understanding of best agronomic practices. Emilia’s customer-base was growing to around 150 customers, so she decided to build a bigger shop. Emilia also received advanced business management training and boosted her sales by training farmers on integrated soil fertility management, the targeted and precise use of chemical fertiliser, and selecting appropriate seeds, herbicides and pesticides. Input sales increased from 2 tonnes of seed and 7.4 tons of fertiliser during 2009-2010 to 65 tonnes and 54 tonnes of seed and fertiliser respectively, in the 2014-2015 season. Emilia’s monthly sales now amount to US$1,000. Emilia continues to receive support from AGRA and the African Fertilizer and Agribusiness Partnership (AFAP) to access finance to expand her business. Emilia now serves 300 farmers and used her profits to buy a sunflower processing machine to produce and sell sunflower oil for cooking. She now owns 60 hectares of land of which more than half is used to grow maize, sesame, fruits and vegetables. Glatzel, K 2015 ‘Emilia and her farmers’ 5 May 2015. One Billion Hungry: Can we feed the world? A Blog by Agriculture for Impact Available from: < http://canwefeedtheworld.org/> [29 June 2015].